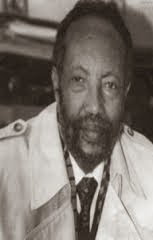 ለመሆኑ የገብረ ሕይወት ባይከዳኝ፣ የብላቴን ጌታ ኅሩይ ወልደ ሥላሴ፣ የብላታ ማኅተመ ሥላሴ ወልደ መስቀል፣ የአለቃ ሐዲስ ዓለማየሁ፣ የአቤ ጉበኛ፣ የበዓሉ ግርማ፣ ቤታቸው የት ነው? የት ነበር የጻፉት? ረቂቃቸው አለን? የጻፉበት ብዕር አለን? ምን ሰየምንላቸው? በምን እናስታውሳቸዋለን? ለመሆኑ የኢትዮጵያን የድርሰት ጉዞ የሚያሳይ አንድ ሙዝየም እንኳን አለን? የሺ ዓመታት የሥነ ጽሑፍ ታሪክ የምንደሰኩር ጀግኖች ሥነ ጽሑፋችን ከየት ተነሥቶ የት ደረሰ? የድርሰት ጉዟችን ከየት መጥቶ የት ጋ ደረሰ? የዕውቀት አባቶቻችንና እናቶቻችን እነማን ነበሩ? እስካሁን ምን ያህል ደራስያንን አፍርተናል? እነማን መቼ ተነሡ? እነማንስ ምን ሠሩ? 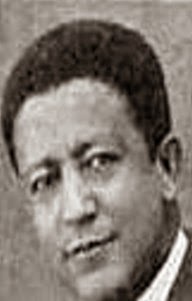 የመጀመሪያው ገጣሚ፣ የመጀመሪያው የልቦለድ ደራሲ፣ የመጀመሪያው የወግ ጸሐፊ፣ የመጀመሪያው የቴአትር ደራሲ፣ የመጀመሪያው ሃይማኖታዊ መጽሐፍ ደራሲ፣ የመጀመሪያው የጋዜጣ ጽሑፍ ጸሐፊ፣ የመጀመሪያው የፊልም ጽሑፍ ጸሐፊ፣ የመጀመሪያው የጉዞ ማስተዋሻ ጸሐፊ ማነው? ብንባል አንዳች ስምምነት አለን? የምናሳየውስ ነገር አለን? የትስ ነው መረጃው ያለው? ለተተኪው ትውልድስ የት ወስደን ነው የምናሳየው? nice article dani i strongly aree! Well said Daniel! We have reached in a period where a vocalist becomes a historian, politician and a hero!!! What a shame!!!!!!!!! let me put what George Orwell said 'War is peace. Freedom is slavery. Ignorance is strength' Keep it up! Ewunet blehal diakon, gin min waga alew? yemanireba sewoch hunen keren endet endeminanserara erasu alawukim. ዳኔየ እኔም ምረቃየ እድሜና ጤና አብዝቶ ይስጥሕ ነው። ዳኔ፣ አባ ሰላማ ክተባለው ድሕረ ገጽ ያንተን ብሎግ ያሳያል፤አስተውለኸው ይሆን ? Thanks Dn Daniel. You always raise very good points. Your articles are an eye opener, a reminder to our history. I know you are doing your best. You have published many books and articles over the last decade or so. Your blog is one of the most read, (I believe so). But I think you need people to work with you for some of the issues which you have been raising so far. Otherwise, your efforts and probably other's wish will vanish. I will share my ideas here, I know people have probably suggested something before, if not for this for other kind of projects. Dn Daniel, we need to start acting immediately. Probably we need to create say "Ye Hadis Alemayehu YeKinetibeb Maekel". "Ye Hadis Alemayehu Library", if we don't have yet or something of that sort. We have "Ye Deresayinan mahibere" and other additional organizations who can collaborate. Financial and logistical issues are usually a challenge. However we can start simple where volunteers and investors could help. Let us have some sort of big plan for “Ye Kinetibeb Maekel” or Libray. It may include, library, meeting halls, class rooms, research centre, playing ground, guest houses, student accommodation. We put a clear master plan for that and advertise to the Ethiopian with in Ethiopia and all over the world. After putting this we can work things by phase. phase 1 - organizing technical team and administrative team. Those teams could work on looking for volunteers, like architects to design the whole premises for free. Those who are looking for financial support. phase 2 - getting accredited from the govt and municipalities to give us a plot of land for such projects. phase 3 - to start simple and probably build the library, or hall in the name of one of our icon as the first project. phase 4 - we could finalize other projects at later stages, not necessarily in one or two years. We could have 10 or 15 years of plan for establishing "YeKinetibeb Maekel"
Let us start now, and I know we will be somewhere in 10 years from now. I can volunteer myself for this, we can start contributing monthly. 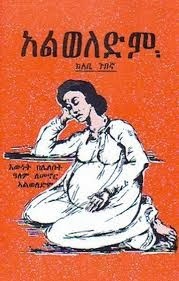 We can follow work of Dr Belay Abegaz's, "Anid birr l'and lib" principle. We could start by saying "anid birr l'and Kinetibeb"
Dani, I look forward to hear from you on your blog sometime soon so that we all could contribute something. Since it might be a burden for one person, please be as a team and come up with some start up project. Thanks Daniel, I love you and I am your admirer. You are a true Ethiopian. Berta, may God be with you as always. Thank you Dani for your awaking article. I strongly agree with the above comment by Bewketu. I (and many others) always inspired by your articles. But since most of us, I think, are occupied by our own life, we don't usually act. So, I am sorry to say this, but you have to take the initiative to work on some of the issues you are discussing. In particular, you are the most appropriate person to tackle the issue you raised in this article. So, try to start some initiative and l hope a lot of people will be part of the effort. I am sorry for pushing the responsibility back to you. Berta! Dear Bewket what an initiative! As they say its better to be late than never. we can rant and rave about the current situation yet after ten yrs we will still find ourselves doing the same unless we act on it immediately. We know that you, Dn Daniel are inundated with so much work, so many tasks on your plate but if you could donate some of your time for such an important issue and came up with starting action plan there are people who are in the position to help and who feel the irony of all the accolades given to all the foreigners while ignoring our own (its like punching ourselves in the face "balebetu yalakeberewun..." yibalal). Anyways "hamsa lomi endemibalew" obviously you cant do this by yourself but I am sure people will take the responsibility once you start the project idea. Its easier said than done but if we are not going to take action it will be pointless and lame to just talk about it "yechat bet wore endayhon". I don't need to take time to realize this kind wonderful idea, I just accepted it. I'm a student but I believe I can contribute something for the project. please, let's put ourselves into action, soon, now! Dn. Daniel Egziabher rejim edme yistih; amen. Dear Bewketu, please keep on inventing such kind of initiative Ideas. I hate people's who repeat the words of z main script, here on the comment box!...parots plse don't do this. Why you hate the Anonymous person. They read the all sentence and they picked what they like and they posted. That is the way their expression. don't expect everybody think you way. You mean If we don't think you way, we have to go in high way. That is the dectator leader. Daniel has been fighting this kind of dectator leader but you didn't learn anything from him, shame on you. shame, shame, shame. Respect other people idea, don't give us hard time. I don't blame you because you didn't grow up with the freedon world. You grow up with ordering other and if someone different from you that person is your enemy. If you read all Daniel comment some people didn't support him but he posted their idea as well. We need someone acept us what we are not what he/she want. I know you are part of Weyana but you have to change your veiw. Bye for now. lekas sew alen!!! Anten yeseten geta yimesgen!!!! 1. እረጅም እድሜ ከጤና ጋር ይስጥህ ወንድሜ ዳንኤል ክበረት . i strongly believe in this article.i will try my best to improve my poor reading habit and i will decide to give priority for my country authors. ዳንኤል፡ የጻፍከውን እያነበብኩ አለቀሰኩ፡፡ ልቤ በብዙ ማዕበል ወዲያና ወዲህ ሲል ይሰማኝ ነበር፡፡ ታዲያ አሁን ምንድር እናድርግ የሚል ድምጽ በውስጤ ሰማሁ፡፡ ሃብት አለን፡፡ የሰው ሃብት፣ ሌላውም ሃብት፡፡ ምናልባት ይህንን ለማድረግም የሚከለክለን ይኖራል ማለት ነው? ምናልባት ጎኑ ይጠና የሚያስብል እንደሆነ ታስብ ይሆን? ለዚህም መጸለይ ያስፈልገን ይሆን? 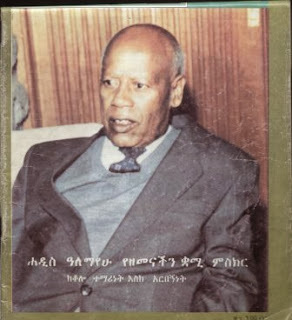 እንነሳና እናድርገው፡፡ አኔ ለዚህ ተግባር እጄን እሰጣለሁ፡፡ tanadar6@gmail.com. I am glad our poor country , Ethiopia, has great minds such as yours. Please keep writing such articles with intellectual depth which bring us back to Reason. you are full of not only Knowledge but Wisdom. May God bless you and may he make us good students. yours articles are always spacial and i wish to see your works at international level. Dani it is great article and looking! but we ordinary people what shall we do? and why not you try to organize something like that Organization? Namely you try and people will follow you! and each interested groups will contribute something, like finance and other! so try! try! This is such a wonderful article as usual. I wish there is somebody who can immediately grab your ideas and put it to practice to change things. I believe you are blessed with special eyes who can see the societies problems. Dani you are a real Ethiopian. You a true son of the late Abune Gorgorios. May God give you move energy and strength to do more to your beloved country. Believe brother your ideas will inspire people to something to their country. Look Bewuketu has inspired by you and raised such a wonderful idea of putting your ideas in to the ground. This is what is needed. Change starts in one place by somebody. It comes in to a reality with a real participation of others. Lets have that gut and do something. I am just thinking of creating a kind of social network where people with reading interest become a member, individuals who read a book post a summary of their readings and those who excel by reading many books get a reward or recognition. And a site where authors become a special member and introduce their new book for free. What do u think guys? Thanks is great idea. Put it there and we will continue to endeavour it. That's very great idea. I was also thinking a similar idea a month ago. Creating a kind of website where artists /getamian will present their poetry in the form of text, audio or video. And people will rank, comment, encourage.... Please go ahead!!!! Please!!! I agree strongly and we have to start now. As usual your point of view is superb. You know what I always think if you want to have a quite, entertaining reading place in Addis there is none. Is not it sad not to have any reading place and ironically we have so many Chat and shisha bets. I wish i could do the same as you do and carry responsibilities in my shoulder. Bless you. We need Engineers and Technologists who try their best in solving our problems than writers and authors who should come following that. We don't need theoreticians who just reflect our problems. I don't agree on your idea.the base for change is not only Engineering or ... but also art and other related areas. Yaa as you said we need Enginners and technical persons more...but we have to give attention also for those idea creators and writers.In deed daniel mentiond most of the writers and art workers were belongs to amhara...my question is ...is there any writers from hadya,kembata,oromya?